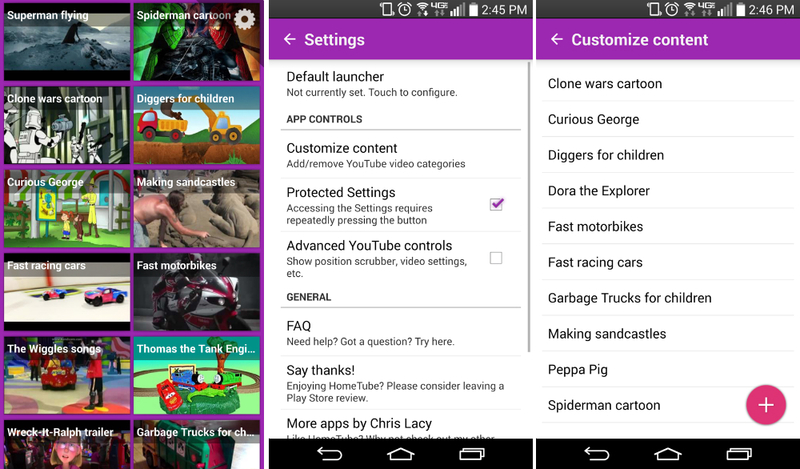 Chris Lacy, the developer behind apps such as Link Bubble and Action Launcher, released a new application called HomeTube to Google Play this morning. The app is essentially a launcher for children, where parents can program “safe” categories for kids to browse through on YouTube. When first downloaded, a preselected assortment of categories are available (Spider Man cartoons, Superman flying, The Wiggles song), but for the price of $0.99, the parent can select their own categories to choose for the child. As stated, the app is free to download, but to edit any categories, a one-time purchase of $0.99 must be made. If you have kids that love browsing YouTube, but you want to make sure they don’t stumble upon anything inappropriate while using your phone, check it out. Friday Poll: Did You Buy a Moto 360?